The Volkswagen Golf appeals to anyone and everyone, and long may that continue. Although the latest refresh remains subtle, there's enough additions to keep the Golf as the number one personal lease car. It’s a testament to the enduring appeal and popularity of the Volkswagen Golf that, when driving the new 1.6 TDI model around Woburn, I couldn’t tell how many of the Golfs I passed on the road were also journos taking part in the UK launch and how many were just everyday motorists. That should tell you a little something about how subtle this 2017 facelift is. Sure there are a few nifty new features, engine options, and a general freshening up, but the Golf very much remains the Golf - meaning it is a car that will appeal to anyone and everyone. Body sway is kept to a minimum thanks to the firm suspension meaning you feel confident through any number of twists and turns. 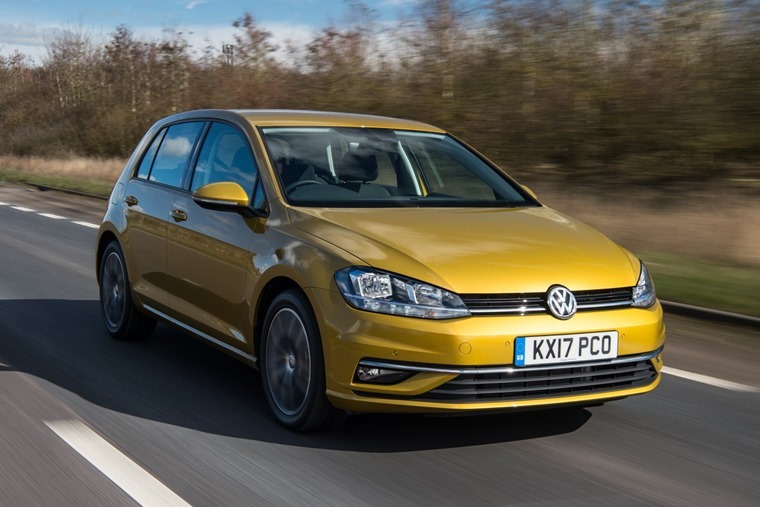 This makes it impossible to pigeonhole a Golf driver, and in part that’s why it was the fourth best-selling car of 2016, and why it was number one for most searched and most enquired vehicle on ContractHireAndLeasing.com – anyone can and will drive it because it has a well-earned reputation for reliable engines, unparalleled durability, and agreeable styling. With this in mind, it’s no coincidence the Volkswagen Golf SE Nav 1.6-litre TDI I find myself in just so happens to be the one from the refreshed range that is expected to continue this trend, with Mike Orsford, head of press and PR for Volkswagen in the UK, stating that they expect it to be the best seller in the range and account for 13% of sales. The Golf very much remains the Golf meaning it is a car that will appeal to anyone and everyone. And why? Outside of the litany of reasons behind its long-standing reputation listed above, it is bringing premium features to the hatchback segment. That means this seventh gen Golf has grown to offer more room to driver and passenger and gets neat little features such as traffic jam assist, park assist, animated ‘sweeping’ indicators and a 9in infotainment unit. 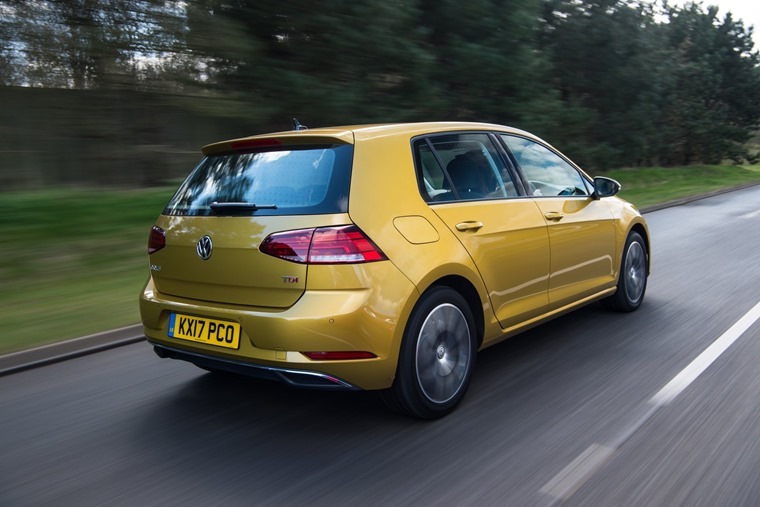 Thanks to the use of the VW Group’s famed MQB platform, the Golf drops 100kg in weight over the previous models, and this helps improve the Golf’s already impressive handling. On top of that, body sway is kept to a minimum thanks to the firm suspension meaning you feel confident through any number of twists and turns. Couple that with the grip through the 16in tyres and anything an A or B road can throw at you is dealt with easily. It also retains the notable feature of being one of the quietest cars on the road, with wind and road noises impressively quiet at the national speed limit ensuring the cabin remains a Zen place of calm no matter your shape or size. It’s also easy to find your ideal driving position due in part to the amount of adjustments you can make and the simple fact that the pedals are in line with the steering wheel. Visibility is outstanding too thanks to large windows and slim pillars. Once you’re all set up, all the buttons and switches are within reach, including the impressive Discover Navigation system which features all the connectivity features you know and need as well as real-time updates on everything from the prices of fuel to the amount of car park spaces available at the shopping centre. With a five-speed manual gearbox to your left, the TDI offers a 0-62mph time of 10.2 secs and a top speed of 123mph with 104bhp. Those figures don’t exactly wow you, but they’re not supposed to – this is a car chosen by drivers for practical reasons and ease of use and, as such, the car exemplifies that throughout. Working up and down the gears is effortless, and there’s plenty of room for rear passengers and whatever you need to fill your boot with. We already know the Golf is a very fine car, the impressive numbers that go along with our search and enquiry data prove that its remains ridiculously popular, so these refreshing revisions should be enough to keep this new model at the top of your leasing list and lead to an equally successful 2017 for Volkswagen.